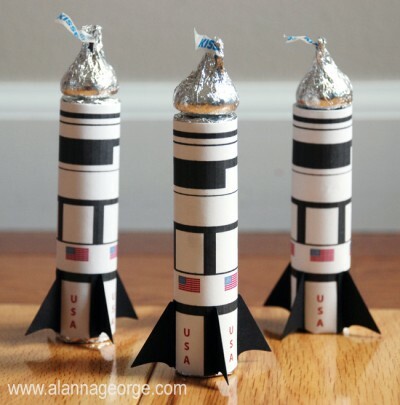 Perfect for a space themed birthday party, these party favor treats are easy to put together. You could resize the printable to be larger and wrap it around a cardboard tube to make a fun toy! Thanks for featuring my project!! You’re welcome, we loved it!